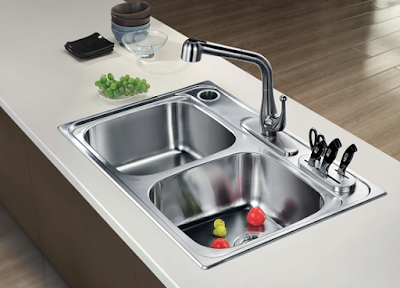 Kitchen sink is an indispensable and important element for kitchen landscape. If you don’t like the way your kitchen looks and plan to make remodeling, selecting kitchen sinks is an inevitable part. There are many materials for kitchen sinks, like stainless steel, fireclay, cast iron and more. Among these materials, stainless steel (304 type) kitchen sink is the most popular. Now let’s talk about how to choose a stainless steel kitchen sink. 1. Go to a home improvement physical store or search online store selling stainless steel kitchen sinks. 2.Decide how many bowls you need for your kitchen sink. If you have a large family or cook a lot, double bowls may be a good choice; while if you just live alone or don’t need to cook a lot, a single bowl will be much more suitable. 3. Check the gauge. Gauge 16 to 18 is good. The thicker the gauge, the more durable the stainless steel sink will be. (Dawn stainless steel sinks are with 16,18 and 20 gauge). 4.See the finish for stainless steel sinks. Stainless steel sinks with satin finish can last longer, however, those with glossy finish may easily get scratched. 5. 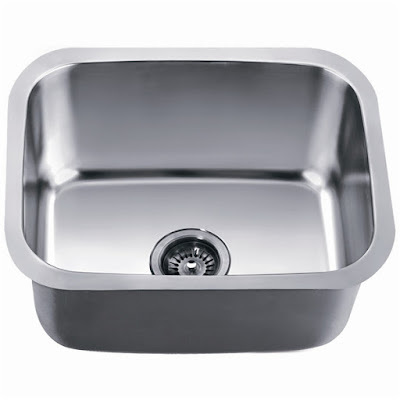 Check the dimensions of the stainless steel sinks and find how deep you need the sink to be. The deeper the sinks are, the more dishes or vegetables you can fit in them. 6.Decide what mounting method you need, top mount or under mount. 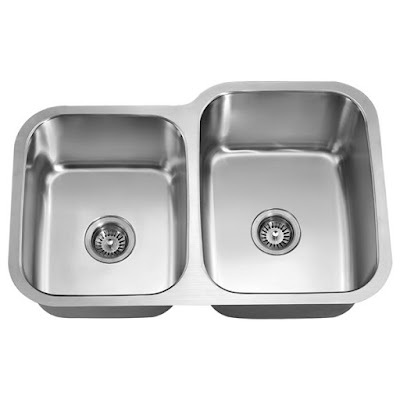 Top mounted stainless steel sinks are easier to install, while under-mounted sinks are easier to maintain and look visually streamlined with the counter tops. 7.Write down your preferences and ask the store staff to see whether they have the sink you want when you don’t see it on display. If you are interested in Dawn stainless steel kitchen sinks, please enter the following link. Links for kitchen faucets and mosaic tiles will be also useful for your kitchen remodeling.